International Beyonce impersonator Aaron Carty is back, with a vengeance. Having burst onto the scenes at Sitges Pride 2014, wowing the judges on Britain's Got Talent and becoming a viral smash - making Alesha Dixon get up and dance, with Simon Cowell throwing a sly smile his way to closing Pride In London, Trafalgar Square 2018. 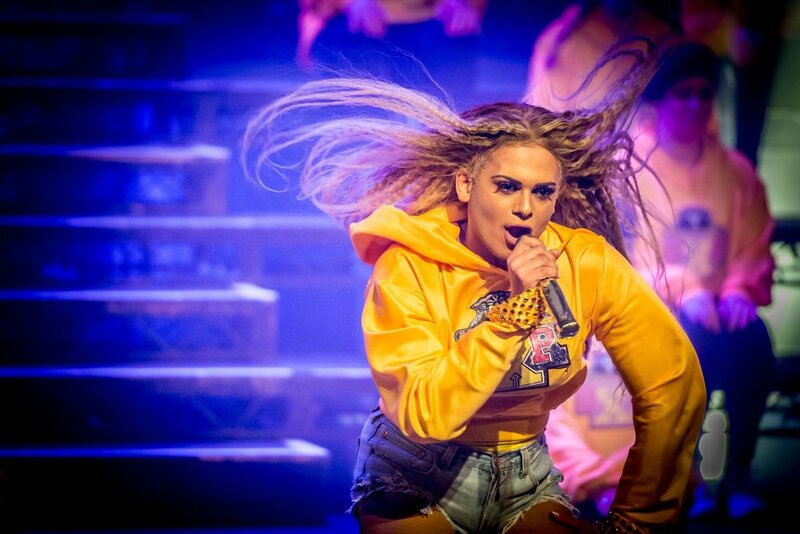 Having performed in New York, Las Vegas, Los Angeles, London, Berlin, Seychelles and five independent concerts Beyoncé Experience is your first choice for an out of this world Beyoncé performer - available for bookings. Imagine having Beyoncé Experience perform at your wedding, getting all the single ladies up on their feet after seeing their best friend get married. Aaron learned how to use a sewing machine from his Nan (who had made his Britain’s Got Talent costume) he now makes every single one of his and all the dancers costumes. Most recently completing costumes from Beyoncé & Jay-Z’s ‘On The Run II’ concert. There is always a new costume on the go, new and old from Beyoncé’s vast custom made designs. The team rehearsing for a show. Nat second from right. 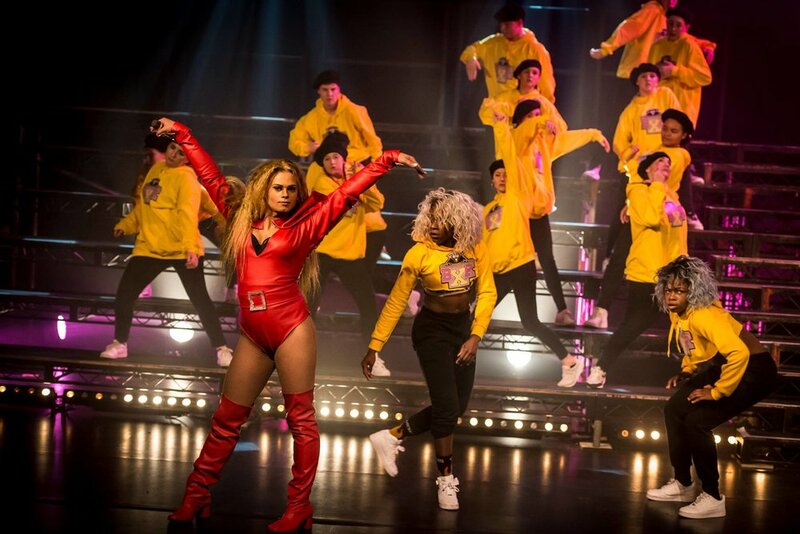 All of the choreography is adapted from Beyoncé’s tours to give you something a little different than you’ve seen but keeping it essentially Beyoncé; Creative Director and Dance Captain Nat has worked with Aaron for the past 5 years ever since Britain’s Got Talent. Aaron in the iconic Coachella opening costume. Having performed internationally - Aaron has produced four independent shows in the U.K at Troxy, The Grand, Ipswich Regent (home town), Harlow Playhouse (Aaron’s Police town) and one at Stage 48 in New York. Aaron performs with between two and 50 dancers.